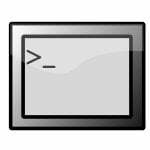 A .bin file is a self extracting binary file for Linux and Unix-like operating systems. For example Java or Flash are two examples of these types of file. Just type following two commands to run .bin files. In this example, I am going to run a binary file called file.bin. resubmitting to be notified of a reply by email. I was trying to extract from the java bin file. I could change the mode, but when I say ./filename.bin ( according to your last example), it says file not found although I am just cutting and pasting the file name and it is in the same directory. yu need to install libstdc++ package to solve this problem. Use yum under centos/fedora/redhat or apt-get under debian/ubuntu Linux. I managed to unzip it. 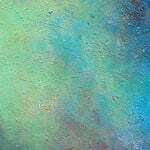 I have a unrelated question on running java on a cluster. Where can I ask the question. I was not sure if I should ask about it here. while executing a bin file i am getting the message : End-of-central-directory signature not found. Your file is corrupted. Delete current file and download fresh file again. I have a Synology 207+ at home running on Linux and the ARM architecture. Now I want to install JRE so I can make Jetty run in order to be able to use Java servlets and jsp files in my webpage. I have to run a UNIX shell script . 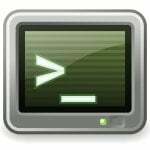 What command I need to type in order to run UNIX shell files in Linux? I was trying to install SiteMinder Policy Server on CentOS 5.2. I already chmod+x’d it. As I executed the .bin file I received this error. I have googled it and this error is not mentioned in the install manual. I would appreciate some advise. ‘SWING’ UI not supported by VM. Reverting to AWT. Sometimes you need to change the file name and then install. What can i do? Is there an option to transform an .bin into an .iso file? Easier way… Just right click, goto permissions tab, and mark as executable. Then open the terminal and drag & drop the .bin or w/e file into it, and press enter. Having trouble with trying to set up Java Runtime Environment, in the terminal it says..
Any idea on how to fix this?? Make sure downloaded file is not corrupted and you must install it as the root user. I am trying to install jdk-6u13-linux-i586.bin in fedora 11.
and i am getting this error. i have performed the steps as mentioned in answer. Hi Kunal, did you succeed to install JDK? I have the same problem. Thanks, now adobe reader is running on my machine. Failed to extract the file. Please refer to the Troubleshooting section of the installation instructions on the download page for more information. Thanks a lot! I have search for 2 hours to the solution, and here it is! Hi, Thanks it works for me. 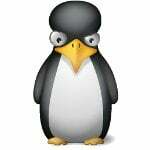 Thanks all, lots of good advice on linux binaries for the novices out here. hey while installin java for a cloud cluster d agreement thing came up but its not exitin back to the terminal.. how do i get back to d terminal do tat it installs java?? 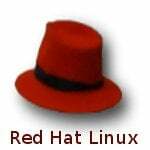 Does speicial installation required on RedHat5 (i686) for installing JDK? I downloaded the java twice and i am still having this issue. Can someone please advice me if it me trying to install the wrong 64bit java version or the installation document is different? im tryng to run jdk-6u23-linux-i586.bin in my ubuntu 8.10…. bt unable to..
this is the error im getting…..
i am new to shell, i want to acceess a web page on linux server from a remote machine . can any one guide me what to do or which forum to follow…. I have a list of commands to be executed in UNIX on dialy basis…. Is there anyway that i could save those commands in a document and execute those commands by using .sh….or anything else command? I tried using .sh but it executes only the first line, what i need to do to make it run all the commands…? Wine is the only windows emulator that I know of that would work. Have you checked your /etc/pppd and /etc/ppp.conf files to see if there isn’t already a driver for your modem? If it’s a Ethernet NIC (network interface card) and not a “modem”, then it will probably work straight out of the box. thank u for the simple yet very helpful comment. What about is there any file’s name can be used to save a file to execute in terminal without command it from terminal? What i mean is i want it to be operated when i click on the file’s icon, it will directly run its function in terminal of linux fedora. (e.g. file.txt or file.sh or file.trx) but to run it in terminal is “file.?” ? ./install.sfx.409050 : 0403-006 execute permission denied . Looks like it’s been made executable (* at end) and you are the owner, the file has an inode and at least one file linked to it…. I take it that ll is an alias for ls -l or something akin to that, so unless it searches across multiple directories, and you aren’t in the correct directory to run the script (of course the file has to be in the PWD for it to run) then more than likely the file is corrupted and you have to download it again. i success to run it. Thank you all above who suggested this! I am using CentOs 6 and this “compat-libstdc++-33” package along with its dependencies are responsible to run ./filename.bin file. After installing the above package, I have successfully executed .bin file in CentOs 6. Simply run “yum install compat-libstdc++-33” to install this package. I wanted to make a .bin file which will copy all the files with name having “am” in common… usually in the terminal we use “cp *am* “… I wrote the same command inside the .bin file, a shown below… but it acts like “echo”… please help. 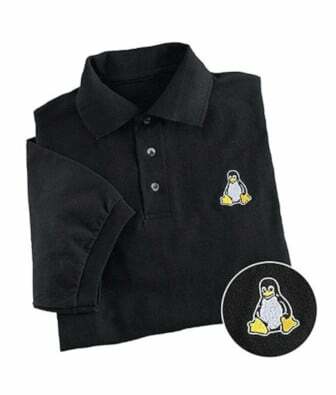 hello friend i am dhiru .. i want to down load unix program running environment from where i can download it .. plz tell me soon as possible..
WHAT the fuk is with this linux file running bullshyt? You have to learn how to extract files in a dos/like system individually? I mean Microsoft sux cuz of the viruses but this is almost as annoying! The system itself is like a self-virus! WHY CANT YOU PUSH “DOWNLOAD” AND HAVE THE DAMN THING JUST RUN THE DAMN PROGRAM? ?